Flying an aircraft, no matter what size, is about more than just pulling a lever and steadying the ship, so to speak. There are a number of flight maneuvers that pilots of all experience levels should be able to master. Not only does this ensure their safety, the safety of their passengers and/or cargo, and the safety of those on the ground, but it also allows pilots to move up the ranks and earn higher certifications. Whether you’re a private pilot looking for a job with a commercial airline, or you are an international pilot who seeks type rating training in the United States, Alliance Aviation is here to help. With our type rating training programs, pilots from across the globe can get the education and experience they need to pass the instrument and/or type rating exam for a particular aircraft. But before you move forward with your education, there are a few flight maneuvers you should understand first. Read our list to learn more and discover what it takes to take flight on a new career. Contact Alliance Aviation today to get started. As a student pilot or even a private pilot, there is a lot yet left to learn before you can take flight as a commercial airline pilot. There are a number of things you will learn as part of your comprehensive flight training, starting with ground school training. This aspect refers to everything you need to know about operating the aeronautics involved with flying an airplane — from flying at different altitudes, to knowing how to turn at angles and S-turns, navigating cross-country flights, and managing the operation procedures. Unfortunately (or fortunately, for your passengers), this doesn’t refer to doing tricks, barrel rolls, and somersaults. Instead, performance maneuvers are important to your development as a pilot and your abilities. In order to master this aspect, you must display a precise level of coordination, proper multi-tasking abilities, sharp attentiveness, and an ability to handle the timing required to operate an aircraft. These maneuvers should ultimately become second nature to you as a pilot, allowing you to adapt and handle the aircraft even in the face of unforeseen obstacles like inclimate weather or a shift in the wind pattern. Everyone says that taking off is arguably the easiest part of flying. However, if you are looking to advance your career with type rating training or any other type of certification, you need to know not just how to take off in perfect conditions, but how to take off in a crosswind, in a short field, and in many other types of scenarios. Arguably the most important flight maneuver for any pilot, it’s imperative that you have an expertise level of understanding when it comes to landings. You should be able to land your aircraft in just about any terrain, and in the face of pressure. 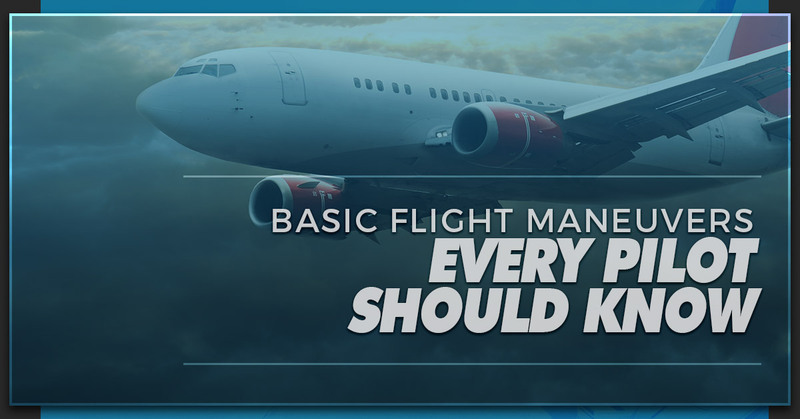 Whether it’s a soft grass runway, a short pavement runway, or something else entirely, a mastery of these maneuvers proves that you are able to adapt and perform emergency landings if necessary. Another crucial maneuver that you should be able to master before moving on with your pilot training is the ability to plan and navigate a flight path from start to finish. While a GPS may come in handy for most flights, it’s important that you know how to navigate in the event that your GPS technology fails. Furthermore, pilots should be able to plan a cross-country flight while accounting for different routes, alternate airports, weather conditions, and more. Many of these maneuvers will be taught during your private pilot training. Once you have mastered these abilities (and more) with the requisite hours logged, it’s time to move up and discover the best type rating training in the U.S. Learn more and enroll at Alliance Aviation today.